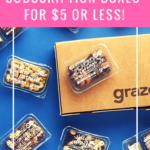 Check out the latest Pampered Mommy Coupon on My Subscription Addiction! Pampered Mommy Christmas in July Coupon – 25% Off All Boxes! Pampered Mommy Mother’s Day Coupon – 25% Off All Boxes! Pampered Mommy Cyber Monday Sale – 50% Off Sitewide! Pampered Mommy Black Friday Sale – Up To 50% Off Gift Boxes! Pampered Mommy Flash Sale – 25% Off All Boxes! Pampered Mommy 4th of July Coupon – 50% Off Summer Boxes! Pampered Mommy Mother’s Day Coupon – 10% Off All Boxes! Pampered Mommy Easter Flash Sale – 20% Off All Boxes!